A guide for physicians leaving their residency and fellowship training programs. 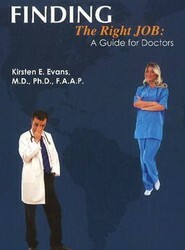 It is suitable for doctors beginning their careers, as well as many now contemplating job changes. It provides a wealth of practical information about what to consider when selecting that new position.